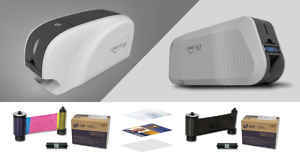 An ID card printer generally has a special overlay panel on a ribbon to produce a type of security watermark on printed plastic cards. In effect, this overlay produces a �frost� that is visible under normal light conditions when you turn the card a certain way, but can�t be duplicated when someone tries to counterfeit security cards. The use of digital watermarks has been around for a while. The National Institute of Standards and Technology, a governmental computer security resource center, has a white paper on its website from 2004 detailing the need for digital watermarking as a necessary visual layer against threats to ID security. Not only are watermarks useful for ID badge purposes, but watermarking has historically been used in stock photography to ensure copyrights are protected and in global currencies to deter counterfeiting. A watermark is the first line of defense in visually identifying whether an ID security card or badge is official or forged. A card with a watermark is virtually impossible for someone to copy. Most times, you can customize your watermark image, such as using your company logo or desired text, to help with visual identification. There are also printers that have standard, stock images that can be watermarked to save on customization costs. You also get flexibility on the layout of your watermark image. 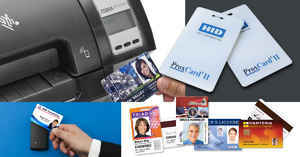 Some customized solutions allow you to place a single layer or company logo anywhere on your ID card or badge. Or, if you choose, you can have several lines of watermarks across your cards to aid in identification. 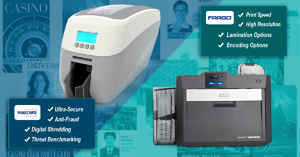 Watermarks are cost-efficient with several ID card printers because the images are free and come standard with the printer. The watermark is created during the application process using the installed ribbon. This means there are no additional printing costs. There might be a one-time setup charge for customizing your own artwork for a watermark, however. 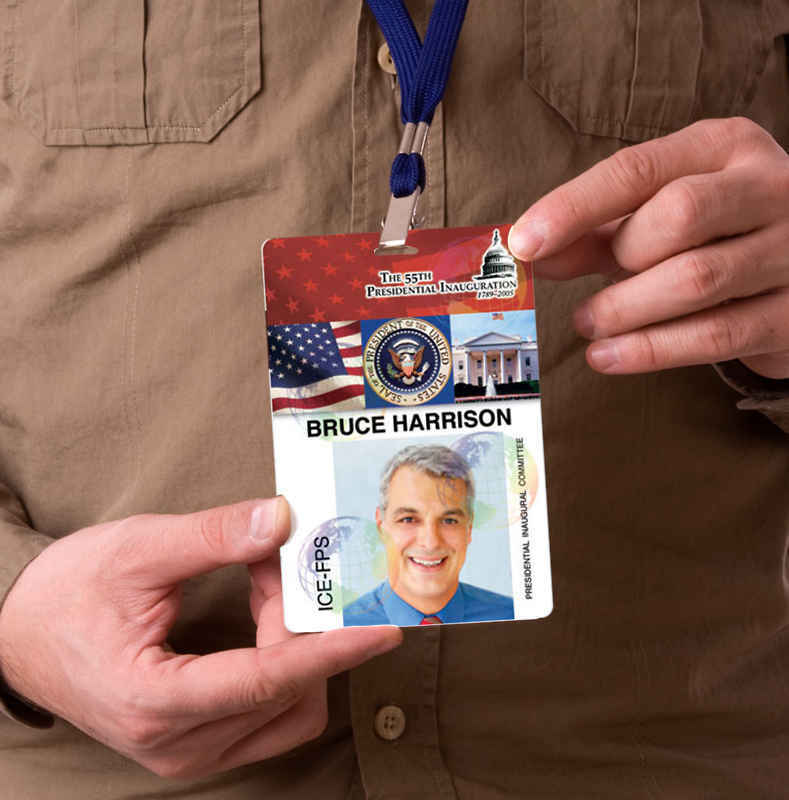 Governmental agencies, colleges, and universities can all benefit from using watermarks as a visual identifier on ID security cards. 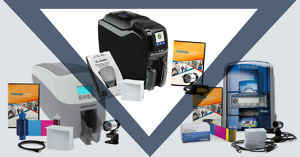 Because of the ease of use, its additional layer of security, and the low cost to print watermarks on cards, this is an efficient, effective, and ultimately flexible way to meet your organization�s security requirements. If you issue annual passes for admittance, watermarks are an easy way to identify instantly the legitimacy of a card for gatekeepers and others who manage attendance. 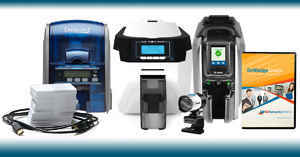 Are you interested in learning which ID security card printers offer watermarks? Click here or contact one of our experts today to discuss your needs and the best option to help you boost your visual security.